In a move seen to be in the public interest, the DVLA has told Premier Parking Services that it may not access any more keeper details held by the DVLA until a dispute over Premier Parking's inadequate signage and the misleading wording of its Parking Charge Notices is resolved. BBC Spotlight Report on You Tube Link. This arose after a 75 year old pensioner dropped his wife off at the back of Superdrug in Tiverton, Devon, then received a PCN for £150 from Premier Parking Services, which had obtained his keeper details from the DVLA. 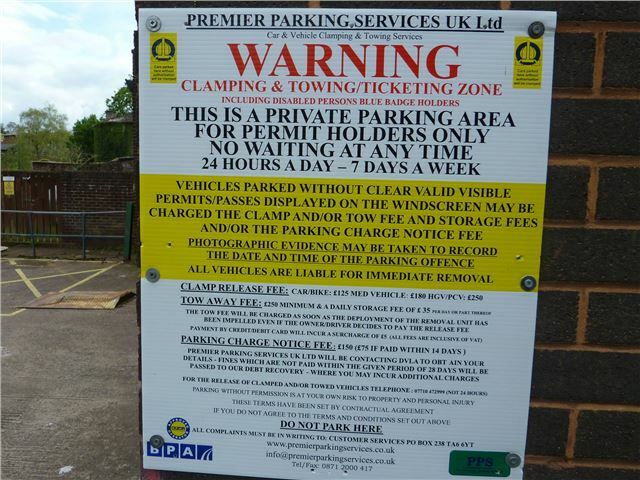 A complaint was lodged with the DVLA that the Premier Parking Services warning sign (at the Tiverton location) and its PCNs were in breach of the British Parking Association Code of Practice and therefore they were accessing Registered Keeper data unlawfully. The DVLA responded, stating: "I understand that your notes have raised more general points about the company’s operations, in particular the signage employed at a private parking area in Tiverton, and the wording on tickets issued suggesting that the keeper has a legal responsibility to identify the driver at the time of the incident. We have asked the BPA to investigate the issues raised. The Agency has informed Premier Parking Services, which requests data via the paper channel, that we will not process further requests until those investigations are complete and we have considered the matter further." In fact, until Clause 56 of the Protection of Freedoms Bill actually becomes law (probably in October) a parking enforcement agency has no legal right to impose a penalty on the registered keeper of a car or to request of the keeper of the car the name and address of the driver at the time and place where breach of parking terms and conditions occurred. The enforcer may request a charge for breach of contract, but this is only legally enforceable if judged to be by a civil court. Premier Parking Services is one of the smaller Parking Enforcement members of the British Parking Association. According to Freedom of Information Request 2870 - Annex A, between April 2010 and December 2011, the DVLA received electronic requests for data protected details of 695,929 keepers from the BCA's largest member.